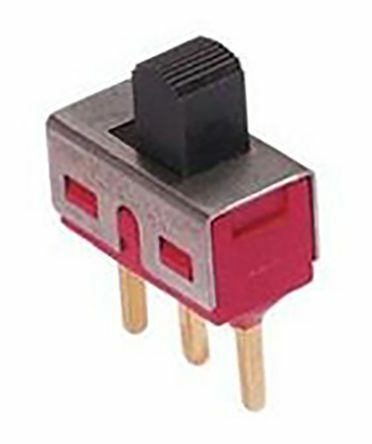 RS Components stocks a large selection of slide switches and accessories. 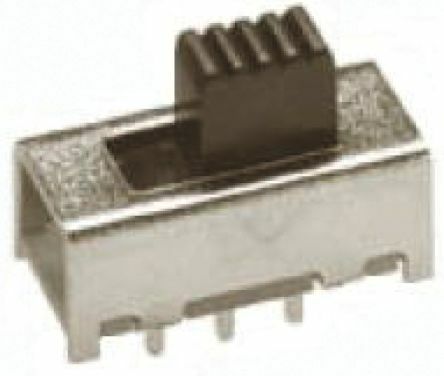 We work with leading manufacturers such as TE Connectivity and Apem to bring you a quality range of slide switches and accessories to suit any requirement. 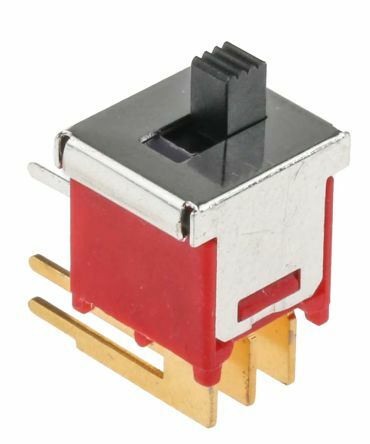 STS Series low profile miniature slide switches with black top orientated slide actuators. 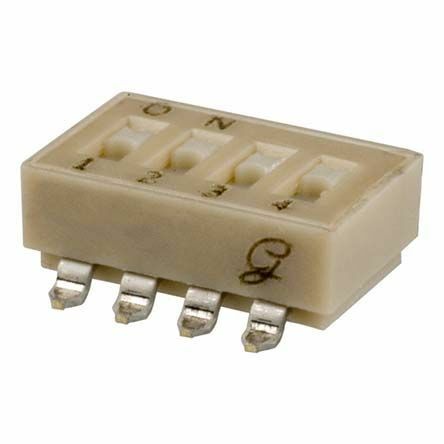 These low profile miniature slide switches are PCB through hole mount with silver plated contacts. Make-before-Break timing10000 cycles mechanical / electrical life.